Austria and Hungary have already withdrawn from the United Nations international agreement on migration, including Poland and the Czech Republic. The Croatian President Kolinda Grabar-Kitarović has already announced that she will not go to Marrakech, where the states must confirm the declaration of Marrakech. Croatian Foreign Minister Marija Pejčinović Burić said that the Croatian government is considering Zagreb's views on political support for the UN migration agreement, which is expected to be confirmed in Marrakech mid-December. President Kolinda Grabar-Kitarović has already made it clear that she will not go to Marrakech. The international agreement on safe and orderly migration, supported by the majority of UN members who had been negotiating for more than a year, supported on July 14 (the US did not cooperate), is expected to be the countries of the international conference of Marrakech support on 10 and 11 December. It is the first international agreement on migration management, calling for better cooperation in addressing the urgent issue of migration. It gives 23 goals for a safer and more ordered stream of people. Austria and Hungary have already withdrawn from the EU treaties, Poland and the Czech Republic are also worried. 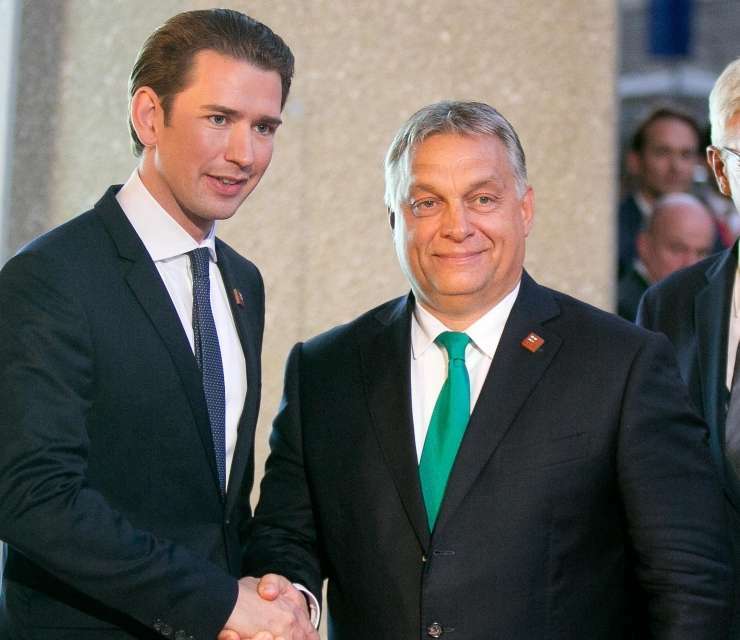 Austria accepted the decision Wednesday and based it on the fear that the agreement would blur the boundary between legal and illegal migration. The European Commission regretted the Vienna decision. The German Foreign Office, after calling for the alternative to Germany (AfD), to leave Berlin after the example of Vienna and Budapest, announced that Germany would not change its position with regard to the signature. On Friday, Croatian Foreign Minister Pejčinović Burićeva declared that support for a UN document known as the Marrakesh Declaration does not mandate a UN member to make recommendations for solving legal migration issues, but each country can independently choose the measures suitable for migration. She said that this is a catalog of possible measures to tackle migration as a global problem. "The member states do not commit to accept migrants," the minister emphasized during the press conference. She explained that the document refers only to regular migration and rejected the extreme right-wing claims from Croatia that the document would allow a wave of uncontrolled migration. It is expected that the meeting in Marrakech on behalf of President Kolinda Grabar-Kitarovic will be attended by Croatia, but the Croatian media have reported today that it will not be there. Pejčinović Burićeva expressed her surprise at these statements. Grabar-Kitarović welcomed the agreement on migration in the UN General Assembly and assessed that the proposed measures could lead to the best solutions. She said she is looking forward to the meeting in Marrakech. After the extreme right in Croatia opposed the Croatian support for the document, Grabar Kitarović told some media that are far right and asks for explanations about the positions of the president, she was not included in the consultations and that the Croatian ministry of Foreign Affairs is competent for the entire procedure, Jutarnji list reported. Hrvoje Zekanovic, the only member of parliament of the far-right Croatian party (Oak), is known for his anti-immigrant positions and today called on the president to give his opinion on the statement of Marrakech. He estimated that the UN document represents "the greatest danger" that would allow "millions of migrants from Africa" ​​to come to Europe.